I’m puzzled though, how come those so “concerned” with the use and display of the Confederate battle flag don’t express the same concern over the United States flag? As one commenter notes, ” the very same thing can be said of Old Glory.” Precisely, but this really isn’t about the proper respect for a flag or even criticism over the use and display of the Confederate flag. It is, as another commenter notes, about “attempts to belittle and bash.” Observe and learn. You hear this argument all the time, but I still fail to appreciate the point that is being made. On the one hand, I agree. The flag of this country has been used in ways that I find morally abhorrent, but is this really all my detractors wish me to say? Does such an admission tell us anything more about the continuing debate surrounding the Confederate flag? I think not. The salient point that is almost always overlooked, however, is that the Confederate flag is not my flag. And regardless of whether you fly the Confederate flag from your home, salute it, or attach meaning to it, is not your flag either. The Stars and Stripes (“Old Glory”) is our flag and each of us is responsible for its symbolism. It represents the nation in which I find myself as a citizen. The flag symbolizes my rights as an American citizen and serves as a reminder of the sacrifices that so many have made over the years to maintain this democracy. It represents what America is and what it can be given its founding principles. No one alive occupies the same place in reference to the Confederate flag so it is silly to suggest that any sort of comparison is justified along these lines. The funny thing is if I were to make the comparative point, Richard Williams would be the first one to accuse me of being unpatriotic and/or not appreciating American Exceptionalism. Southern history is part of American history and there is a great deal to celebrate. I have never suggested otherwise. I would also like to point out that Southern pride is not exhausted by the four years that make up the history of the Confederacy. It’s indeed a rich past. But Southern Pride shouldn’t be some sort of obligatory Confederate pride. … and, what I mean by that, is, if one does narrow focus on “Southern Pride” to the four years of the war, being Southern then, didn’t mean being Confederate. Excellent point, but what I find curious is the assumption that we can know from a subjective perspective what it even meant to be Confederate. I don’t disagree. I just find it interesting to watch as people desperately try to carve out a memory of “being Confederate” that is somehow self contained. Jim, the “The War of Northern Aggression” is a term coined in the late 1950s/early 60s, and popularized by segregationists and others to provide an historical precedent for the campaign of “massive resistance” against federal civil rights initiatives and court decisions. It’s not a term that was used by Southerners during the war, or for generations after. This is not simply an etymological curiosity, but a rather blatant example of how what’s now claimed as the “Southern” view of the war is itself a revisionist narrative, carefully crafted in the decades following the conflict. It’s a very old narrative, that’s had a few updates over the years (e.g., “black Confederates” in place of “faithful slaves”), but it’s nonetheless a revisionist narrative, made to whitewash the Confederacy and particularly the role of slavery in both the coming of the conflict, and in the political ideology of the Confederacy itself as an institution. It’s 19th century political correctness, but political correctness just the same. I was introduced to the phrase “War of Northern Agression” by a professor in a local college who taught American History. I do not need a history lesson nor am seeking one – my only point was this – Southerners (as I consider myself now) also deserve respect and pride for the contributions of their ancestors. I am not talking pro-slavery quite the contrary. Indeed, as you are aware many of the Confederates were not slave owners. They felt invaded – put upon – forced to defend their homes and they did…. The facts did not support the perception. Not getting one’s own way all of the time, and not being immune from criticism and disagreement does not constitute, by any reasonable standard, being attacked. However, that’s what happened. The acts of violence that occurred up to Ft. Sumter were all secessionist. Lincoln’s call for troops was not something extralegal but pursuant to the Militia Act of 1795 which covered situations in which state governments were unwilling or unable to enforce federal law against combinations determined to defy it. With all due respect, one who writes, “Saying that history is written by the victors is well known – I have found this particularly true regarding the Civil War” does indeed “need a history lesson,” because nothing can be further from the truth. The Lost Cause narrative held sway for decades, and to this day we still see vestiges of it in the popular mind. This ignores the fact that when counting slave owners one is only counting the head of the household and not their spouse, children, or other family who stood to gain from their close relationship to slavery. About 40% of the Army of Northern Virginia came from slave owning families. Add to that those not from slaveowning families who benefited directly from slavery–those who had paying jobs that supported the institution in whatever way. Certainly there was an element of defending a homeland, since individual motivations can vary with the individuals. But it does no good to try to minimize the role of protection of slavery as a motivator. This is not to say that southerners should not be proud of their ancestors’ bravery, sacrifices and skill. They should. But to try to minimize the role of slavery’s defense does no service to their memory because it provides an incomplete picture. Al-Another major subgroup are people who leased slaves from their owners. It satisfied both (1) the needs of the owners for cash income and to be freed from the cost of feeding, clothing and housing slaves during slack times; and (2) the needs of the lessees who needed slave labor but might lack the funds to buy any slaves (slave prices soared in the 1850s) or sufficient slaves to do the work or might not have enough work year round to keep the slaves occupied. It was not unusual to leave slaves to widows and children specifically for the purpose of being leased out to provide income for the heirs. The best book on the subject is the classic 1931 work “Slave Trading in the Old South” by Frederic Bancroft (I’d recommend the U of S. Carolina reprint with the introduction by Michael Tadman) which, as its title makes clear, also gets into the income generated by and the people involved in the trade itself. Although I don’t think the 19th Century America would recognize the Commerce Clause as it developed in the 20th century, there was a real fear that among slavery proponents that a Congress increasingly dominated by representatives and Senators from free states would use the federal government’s power to regular interstate commerce to restrict the interstate slave trade. “History is written by the victors” is a cliche’ not a truth and the ACW is a prime example of the defeated writing the history. From the Confederate Veteran Magazine through D.S.Freeman the Southern POV has been the dominate one. what you mean, of course, is Southern white pride. I’m not so sure that’s what he meant. That statement implies that all white southerners are the same, and of course they are not and were not. To criticize a generalization with another generalization is I think not quite right. Much of the focus on slavery may have obscured some important aspects of the Confederate cause-it was about destroying the Union it attacked the United States. Now, lets focus on one really important point. Succession occurred right after an election. The Southern states did not like the way it turned out, they decided to secede. The new government had done nothing to them, it had not even been formed. They seceded to protect slavery. An institution where people were mere chattel, property, denied the most basic human rights. When the US government went to resupply its garrison at Ft Sumter, Southerners fired on starting the war. During the war, Southerners fought to create a new nation on this continent, this would have meant that there is no United States as we know it. A flawed nation perhaps, but one that did great good in the twentieth century. If individuals want to honor their ancestors fine, that is called freedom. If other Americans believe that the Confederate flag should not be honored because of the cause its symbolizes that seems to me to be not only their prerogative but appropriate. 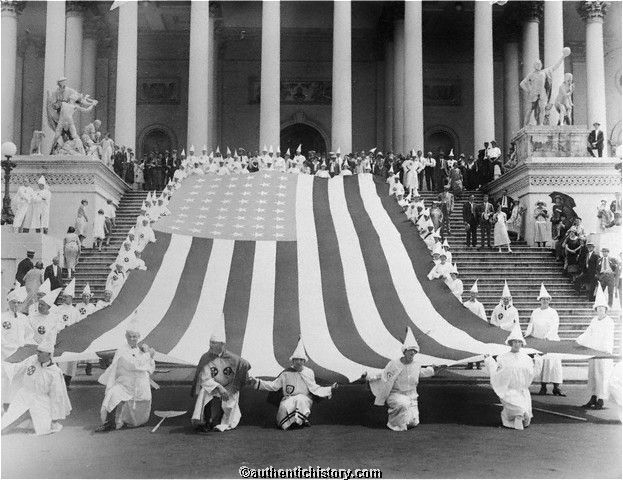 The Confederate flag was surrendered, the vast, vast majority of its followers pledged allegiance to the US flag. Are supporters of the CSA flag dishonoring their ancestors, particularly the ones who died under the American flag, for example, on Normandy. What flag did the men of Bedford, VA die under? Let’s focus on one really important point. Succession occurred right after an election. The Southern states did not like the way it turned out, they decided to secede. That encapsulates it very well, I think. http://longislandwins.com/index.php/features/detail/the_evolution_of_the_know_nothings/ it was frequently adapted by the anti-immigrant Know Nothings to warn of the dangers of newcomers. I once helped rescue an immigrant from a beating by a man with an American flag! But, while immigrants are very aware of its exclusionist uses, it is also the flag flown at naturalization ceremonies and carried in ethnic parades. There are multiple meanings to the flag that the immigrant sees, the meaning of white nativist exclusivity, or the flag of e pluribus unum. Immigrants most often embrace the flag insisting the the message of pluralism and modernity is what it really stands for. I have never seen a Confederate flag used as a welcoming emblem for the tens of millions of immigrants who live here. Why is that? There is this very famous picture of the flag being used as a weapon. Flags get abused, they get used as kitsch. I think this stems from our country not being a race/nationality based country but a melting pot and the “rally ’round the flag” spirit is what unites us. look at the first line. of the pledge. I’ve said it before, the controversy with the CBF is due to its being a very attractive flag. if the Stars ans Bars was the only CSA flag it would have faded away into history long ago. I’ve noticed that Richard seems to have a tendency to assume that if someone doesn’t explicitly denounce something, that person must ipso facto condone it. You do a post poking fun at tacky misuses of the Confederate flag, but you don’t say anything about tacky misuses of the American flag; therefore, you have an anti-Confederate bias. Somebody comments on the historical references made by the Tea Party but says nothing about historical references made by Occupy Wall Street; therefore, that person is a left-wing radical. Some news article pops up about a professor assigning Howard Zinn to his students, and no history bloggers denounced it; the history bloggers are therefore closeted Marxists. Perhaps we should all adhere to some type of Historical Blogosphere Fairness Doctrine, which would require one anti-Zinn post for every anti-Barton post, one post lampooning Grant for every one lampooning Lee, and so on. I get this argument in a bunch of contexts. I am anti-Southern because while I am interested in how race played a role in the perceptions of Confederate soldiers I don’t spend as much time on Union soldiers. It’s a bizarre claim. Perhaps it’s just the case that I am interested more in the history of the South and slavery. Richard has linked to my site a couple of times in recent weeks and he seems disappointed that I didn’t respond to at least one of them. This was the least I could do. I like Richard’s blog. I would enjoy reading more here about the attitudes of Union soldiers on race. Even though you are more interested in the history of the South and slavery, I think exploring the attitudes of Northern leaders and soldiers would lend context to the discussion. This is not to say that finding Union leaders with similar attitudes on race would excuse the views of Southerners, only that the gap between the two sides in how they viewed racial issues was not as large as is often thought. You are absolutely right. As you well know, there is a very large body of work on northern attitudes of race and slavery, including those who served in the army. The focus here on Confederate attitudes reflects my research projects, but that will soon shift as I return to my project on the 55th Massachusetts Volunteer Infantry. One should not confuse the views ion race with the views on slavery. Many maybe most Yankees didn’t accept blacks as equals. that is secondary to their view on slavery. And one big factor on their view of slavery was the recognition that it was slavery at the root of the conflict. They had been more than willing to let the South have its slaves but not at the cost of destroying the country. Not necessarily so. It depends on the areas of the North. South-central PA was noticeably different on the race/slavery issue than Boston. The ideas of slavery and race varied, and often merged, based on locality. Excellent point. One of the things we have to move beyond is our tendency to generalize about what soldiers on both sides thought about issues such as race and slavery. We need to do a better job of framing these issues in time and place. While I think Chandra Manning does a good job of tracing the views of Union soldiers over time, she give very little weight to place. Her most controversial claim is that Union soldiers shifted to emancipation much earlier than previously thought, but Manning fails to distinguish between armies in the east as opposed to the western theatre, where they had moved much further into the South. Even with Confederate soldiers we need to do a better job. One of the reason I like Ken Noe’s new book is that he focuses specifically on soldiers who enlisted in 1862, before conscription. As I’ve argued all along any analysis of the Crater clearly demonstrates how the presence of USCTs unified slave and non-slaveowners around a fear of emancipation and worse. When we look at specific moments in place and time the analysis ends up being much more grounded as opposed to plucking out quotes that happen to fit a thesis. Slip over to the Valley of the Shadow site, and take a look at what the Chambersburg, PA newspapers were saying about some of the race-related topics of the time. It’s an interesting read, from the John Brown Raid time-frame, and into the time of the war. General Lee’s surrender conditions contained no requirement to stop loving our flags or the brave men who fought under them. It is indeed my flag and it has all the honorable qualities of freedom embodied within. I salute it with reverence, awe and affection and will until my dying day. Deo Vindice! It’s clear that you identify with the flag for whatever reason, but that does not make it your flag. The flag doesn’t belong to anyone living today. So let me tell you what old glory means to me. Even though I was raised in the north, do not consider myself Republican or Democratic. I do consider myself as monarchy or imperialist. Because that is what I do agree with. During the civil war, the first engagement was bad. Because both the yankees and south carried the same old glory flag, and wore the same colored uniforms. People were killed by their brother, father, neighbor, and, friends. After that first fight, the south created the rebel flag, or Confederate flag to differentiate themselves from the north. They also changed the color of the uniform. So the rebel flag wasn’t around during the time of slavery, but old glory was. Ever since 1777 slaves prayed, tourtured, died, and, wrapped in; burnt in the old glory flag. You won’t find that info with the rebel flag. I have a very old painting where slaves are picking cotton while old glory is flying on the flag pole in the background near the house. Old glory too me, symbolizes good and bad. Good that it reminds me of the fallen soliders in modern wars, bad that it reminds me that slaves forced, served, sweat, and, died under it. I would be for a entirely new flag, because old glory isn’t so glorious. It’s a tainted symbol in my eyes. A symbol of unfaithfulness. So the rebel flag wasn’t around during the time of slavery, but old glory was. The goal of the Confederacy was the protection of slavery. With all due respect, this statement makes no sense. I’m sure our grandchildren, living under the US flag, will look back on us today and wonder ‘what were they thinking’. Old Glory is nothing if not a symbol of our aspirations. The aspiration of the Confederacy was to preserve slavery.